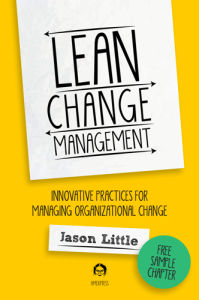 Heather Stagl of Enclaria will be interviewing me on her blog talk radio show about Lean Change Management. We are in the age of complexity. The organizational life-span is shrinking, the pace of innovation is the highest it’s ever been and it continues to accelerate. For organizations to remain relevant in today’s world, they need more effective and adaptable processes for managing change.